22 days before City of Heavenly Fire – the final installment of The Mortal Instruments – hits the book shelves in the USA, Canada and a few other countries, we finally have our audio book narrators! 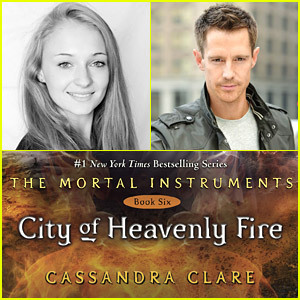 According to JustJaredJr., Sophie Turner, who plays Sansa Stark on Game of Thrones, and Jason Dohring, who played Logan Echolls on Veronica Mars, will narrate the City of Heavenly Fire audio book. Welcome to the TMI family, Sophie and Jason! I know that our staff member Megan will be super excited about the new narrator(s). 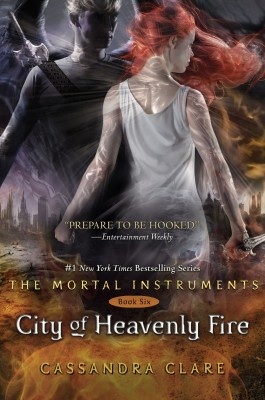 Shadowhunters, will you be buying the audio book and what do you think of the news? Sound off in the comments! I am buying the audio for CoHF I can’t wait and look forward to the new additions to the Shadowhunter family. Wonderful. I already pre ordered my audiobook also. What, what, what, what, what?!?!?!?! Sophie Turner, as in Sansa from Game of Thrones, and Jason Dohring, as in Terra from Kingdom Hearts: Birth by Sleep, are voicing CoHF?!?!?!?!?!? Well, this might just be the best day of my life. Three of my fandoms coming together? Hell to the yes! wait, so does that mean that there will be 2 pov’s in the book? since it’s going to be narrated by Sophie and Jason……..I’m a little confused right now. Does anyone know if CoHF audiobook will be available on either I tunes or Audible for digital download? Jason Dohring doesn’t need to be narrating audio books. His dialect is horrible. It actually sound like you’re being read to. No change in his voice. It’s irritating! Wow–I feel bad for Jason Dohring; he is not, not, not cut out as a narrator. He is awful in this. It ruins the book. Hs dialects are awful–it really takes you out of the book. This is one of the worst narrations I have ever heard in an audio book. Narration is not just acting–it is a real skill that regrettably Mr. Dohring does not possess.